Roses which have delivered messages of love, friendship,admiration and even sympathy for centuries. 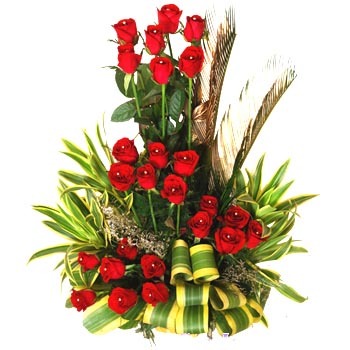 Our exotic 24 Red Rose Basket is truly a work of art by our creative florist. The 24 red roses with lots of greens is a sight to behold. Send flowers to your loved ones to show your soft feelings. Brightly colored roses make a stunning combination which would liven up any occasion. 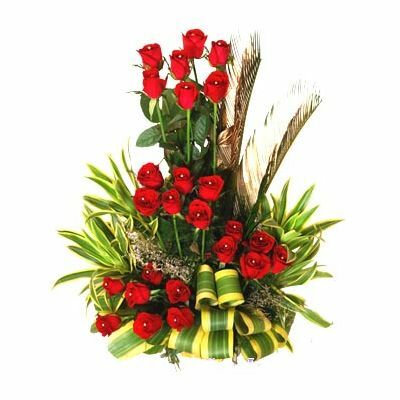 Send roses bouquet online to ask someone out or to indicate the beginning of a relationship. Home Delivery and same day delivery is available.